When it comes to running, Scott Jurek is a world-renowned legend, often heralded as one of the greatest runners of all time. He holds the US record for the 24-hour Run with 165.7 miles. He’s the three-time consecutive champion of the 152-mile Spartathlon and the current record-holder for the Appalachian Trail. National Geographic has named him one of 2016’s Adventurers of the Year. His memoir, Eat & Run, was a New York Times bestseller. He was also prominently featured in Christopher McDougall’s bestselling Born to Run. As the title suggests, Scott Jurek truly was born to run. Despite his record-breaking speed and endurance, not to mention his international nonprofit work, we were able to catch up with him to talk about ultramarathons, how he uses his sport to make a difference, and his advice for leading the ultimate lifestyle. Conscious Connection: It’s great to be with you, Scott. What first inspired you to get into running? Scott Jurek: For me, running was something that got you in shape. But my family was into hunting and fishing, and that was our big-time. What finally got things clicking was the first time I did trail running training for cross country ski season one year. Those long runs in the woods reminded me of hunting and fishing as a kid. That connection with the wild really resonated with me. I’ve also learned to appreciate the meditative aspects of running, of exploring new areas in urban environments. We don’t all have the luxury of having a trail out our back door. I’ve learned over the years that the same joy of running, that connection with my animal instincts, can happen anywhere. Conscious Connection: What kind of mental state do you maintain both prior to and during an ultra marathon? Scott Jurek: Initially, I never thought much about the mental aspect because life had prepared me for adversity at a very young age. I grew up with a mother who had multiple sclerosis, a chronic disease that really impacted not only her life but our whole family’s. Life had prepared me for the mental challenge that an ultramarathon throws at me. The physical aspect of the sport is key, obviously. You have to put your body through a lot. But what you put your mind through is even more of a challenge. After you do something for 20 years, things can get a little stale, so over the years I’ve learned to appreciate that mental component more and more. Conscious Connection: Let’s talk about your record-setting run on the Appalachian Trail. 46 days, 8 hours and 7 minutes, 2,189 miles in 2015. An incredible accomplishment. Scott Jurek: It was a true adventure. I had only seen 40 miles of the trail prior to starting. Nearly every single bit of trail was going to be brand new to me. I was really hungry to see what was around the corner, even though I had to do 50 miles each day. A lot of people ended up coming out and joining me too, sharing their story. One individual told me the story of how he survived cancer and his gift to himself was running 31 miles with me that day. Sharing the trail with others really put things in perspective and gave me that fire again. Scott Jurek’s world record setting run on the Appalachian Trail. Conscious Connection: It’s incredible that you were able to accomplish such a feat. You came really close to the previous record. You beat it by how much? Scott Jurek: Only three hours. It was 46 days of hiking and running for almost 50 miles a day. Doing that day in and day out only to have it all come down to those last few hours was not something I had planned. Conscious Connection: You’ve said that your number one training tip is to connect. Talk to me about that. Scott Jurek: This is applicable to any sport or passion. It’s very important to have a community. I run with runners of different ability levels. Some are older than me and slower, but they have this vast experience and wisdom. And then there are of course younger athletes. It’s always good to be pushed by young athletes. It gets you revved up. Running is a very solitary sport, but there’s still a community aspect. Connecting is something that energizes my passion for the sport. Conscious Connection: Building on that advice, I want to talk about equipment. Sometimes a company will make a shoe that works really well, but then they stop making that shoe and come out with totally different models. How do you maintain consistency in finding equipment that’s comfortable and works for you? Scott Jurek: I believe people should try to adapt. Companies are always going to change. I tell people to try and get used to a couple different models. Rotate new ones in from time to time. Get your body used to at least a few different changes. Runners just have to be adaptable to changes in conditions, footwear, and the environment. Especially ultrarunners, because we’re out there for so long. Conscious Connection: I’m fascinated by the idea that meat and other animal source foods are not necessary for optimum health, strength, and endurance. I think you’ve proved that beyond a doubt. What are the benefits of a plant-based diet that you’ve seen in your own life? Scott Jurek: We know it lowers blood pressure, and diabetes symptoms can almost completely disappear. A lot of research shows anti-cancer properties. The list goes on and on. For me, I noticed a small reduction in my blood pressure. My HDL cholesterol went up, the LDL went down. I noticed a slight reduction in my body fat. It helped me lose those extra few pounds that I didn’t really need. But the biggest thing I noticed over the years was an increase in energy, and how quickly I would bounce back from hard workouts. I was able to go out for these super long seven-hour runs and bounce back and do another five to seven hours the next day. Some would say, “Well, that could be your training,” which it very well could. But when you look at how long I’ve performed at a high level in my sport, it’s hard to say that’s all training. There are plenty of athletes who train just as hard, if not harder than me, but they’re injured, overtrained, and broken. 20 years of running ultramarathons has put a lot of stress on my body, but I don’t look as haggard as some of my running buddies who’ve been at this sport for as long as me. I think that’s a testament to long-term health, and that’s what most people are looking for. They’re looking for a diet and lifestyle that’s healthy in the long term so that they can play with their grandkids and have the energy to enjoy their retirement. That’s probably the holy grail when it comes to health and wellness. Conscious Connection: Let’s talk about some of the initiatives that you’re involved with. 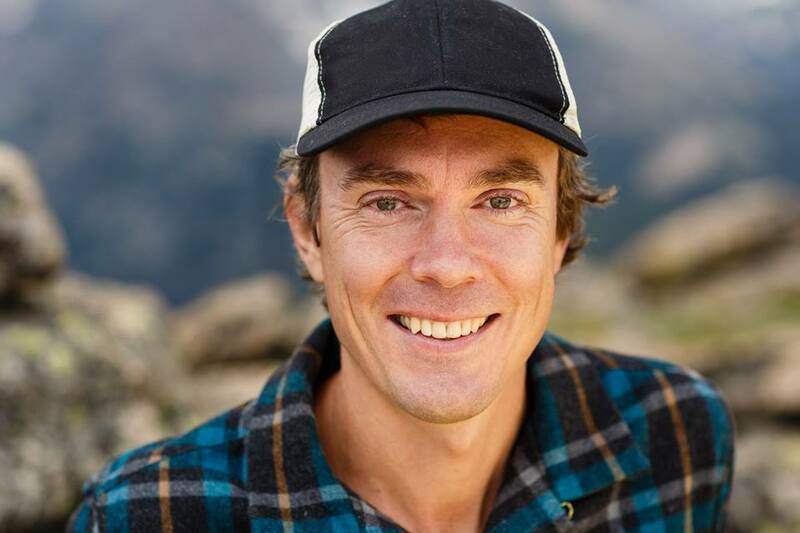 Scott Jurek: I’ve been working with Every Mother Counts, a nonprofit that was started by Christy Turlington, a supermodel that has been very passionate about maternal health. Jenny, my wife, had experienced a couple of miscarriages that were very traumatic and serious. She could have died if we weren’t close to a hospital. That really hit home with us, so we’ve been working with Christy and her group. We did a project in Tanzania where we brought runners over and raised money for the clinics that they’re working with. Their main focus is getting transportation and access to basic healthcare for women who are pregnant or post-pregnancy, because it’s one of the leading causes of death in the developing world. They work in Africa, Asia, and they even have some projects in the US, including some in New York. It’s an issue that affects women around the globe. I’ve also been working with a couple of organizations that work with visually impaired athletes. Thomas Panek runs Guiding Eyes, which trains guide dogs for individuals who need to get to and from work and through their daily lives. But he’s been working on developing programs for individuals who want to exercise with their guide dogs. It’s been really fun to run with him along with Team With a Vision. They’re based out of Boston, and that’s how I got connected with Thomas: guiding him in the Boston Marathon a couple of years ago. Conscious Connection: As someone who’s been able to have such an incredible impact doing what you love, what would be your advice for readers who are looking to do the same? Scott Jurek: Keep doing what you love. I didn’t have any idea running would take me to the places it has, literally and figuratively. It’s really been eye-opening. Making connections can be key too. I’ve always been open to opportunities and to letting my passion take me to new places. Running was just something I loved to do, and then all of a sudden it became more and more part of my life. Keep putting one foot in front of the other. You just never know where it will take you. In a lot of ways, that’s what ultramarathoning is all about. You just gotta keep moving forward.